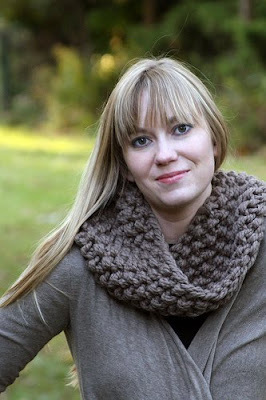 hey jen renee: knitting is cool. Hi there! So, it's fall. But it feels like winter around here. So I've been on a knitting streak. 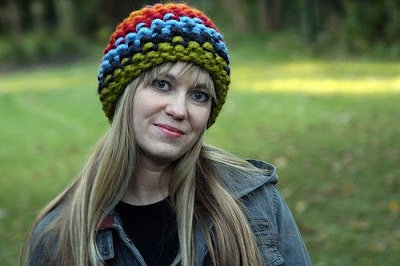 Check out this super stripey hat. (There are more purple and yellow stripes at the top that you can't see here.) I was originally going to sell it but now I'm kind of attached and want to keep it. After all, it snowed here the other day, which means snowboarding season must be right around the corner. And this hat is super warm. 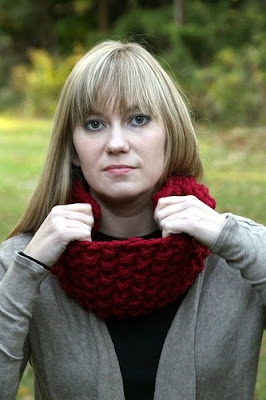 I've been keeping up with the cowls. These are all up for sale here in my Etsy shop. I have been trying to knit enough fun stuff to keep my table stocked up for all of the upcoming craft shows. Market Day is on October 24, then Craft Saturday (the holiday show!) is on November 21. And then I'm seriously considering heading to Iowa City for What a Load of Craft in December. Umm, yeah – the name alone is completely cool and it's exactly my kind of craft show. They have DJs performing all day and even better, they feature a Craft Death Match with an all-metal soundtrack where you face off with another crafter – there's a time limit and whoever makes the coolest thing wins. I must go. It was meant to be. I'm so excited. 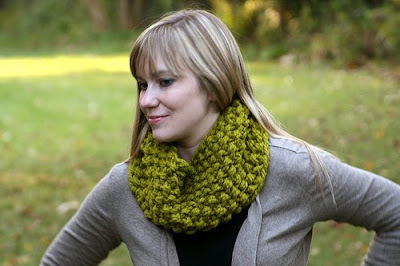 And of course, I've knitted up a nice colorful pile of things for Ephemera in the East Village (including a fancy green cowl like this.) Arin and Karen are moving into their new downtown location soon, so stop out to see them before the big move. The girls have also started a lovely blog that you should totally check out. 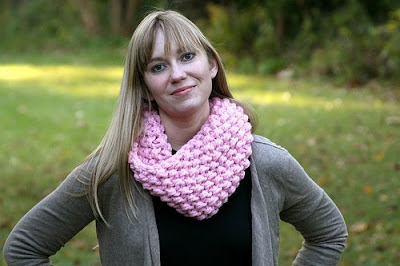 Last but not least, I have knitted these two bubble-gum pink pretties. And they're pink for a good reason. 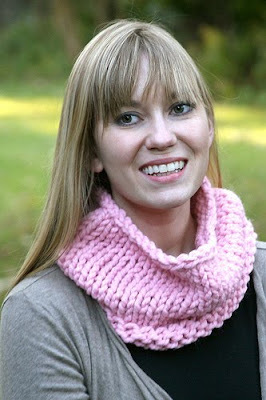 100% of the proceeds of sales for these pink cowls will go to the Susan G. Komen foundation. (For sale here in my Etsy shop.) 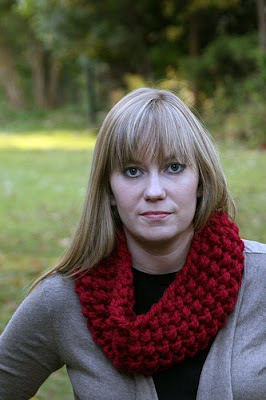 The first is my 'regular' super thick seed-stitch cowl. And the second is a somewhat lighter, smaller version. We've put together a pretty rad team of women from our local moms' group and we'll be doing the Race for the Cure in a couple of weeks. So in the meantime, I thought this might be a good way to raise a little bit of money for our team to 'support the girls.' (I'll knit more if I have enough time.) Or if you would just like to make a donation, you can do that here. Thank you so much – it's a great cause. Nice work! 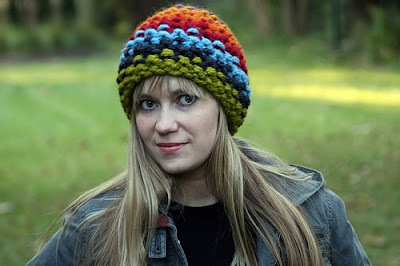 Love the cowls and the hat is adorable. 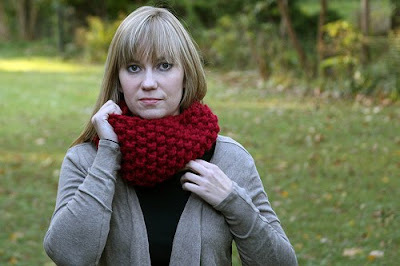 I may have to make a toddler version of that--the chunky yarn is so cute with the stripes. love the breast cancer donation. what a fabulous idea!!! 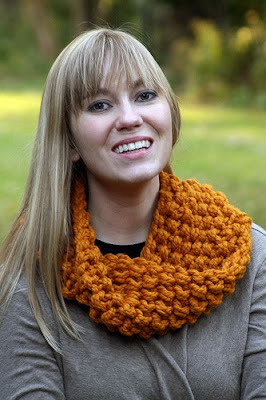 Your knitting is fabulous Jen!!!! I need to learn more then the regular making a scarf thing. 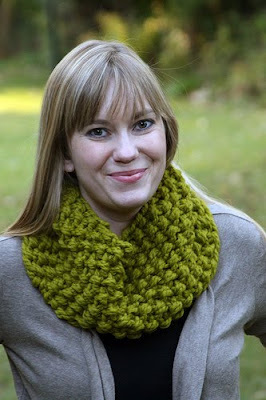 love that olive green color!! hey are gorgeous and you are just awesome! I thought about signing up to do WALOC too but if I do, knowing my luck, there will be a huge snow storm that weekend! oh Danelle - I know! I'm worried about the same thing. I might email them to see if there's any weather related refund policy for out-of-towners. hey there, awesome knits! that's awesome your donating 2 to Breast Cancer Research-you're a sweetheart! All those craft fairs sound sooooo cool! You just knitted up a bunch of cool stuff my friend! I wish i still knit. I grew to impaitent. Someday ill pick it back up. and a knitting FOOL! i love them all. Um, I totally NEED that hat!!! You must make more and sell them at ridiculously-high prices. I WILL purchase one. I have a beanie addiction. Please-o, please-o, you can't let this addict down.